Tuesday was simply delightful! The weather was so perfect–a bright and sunny 78 degrees! Fortunately the weather went perfectly with the meal I had planned for the SCL dinner. 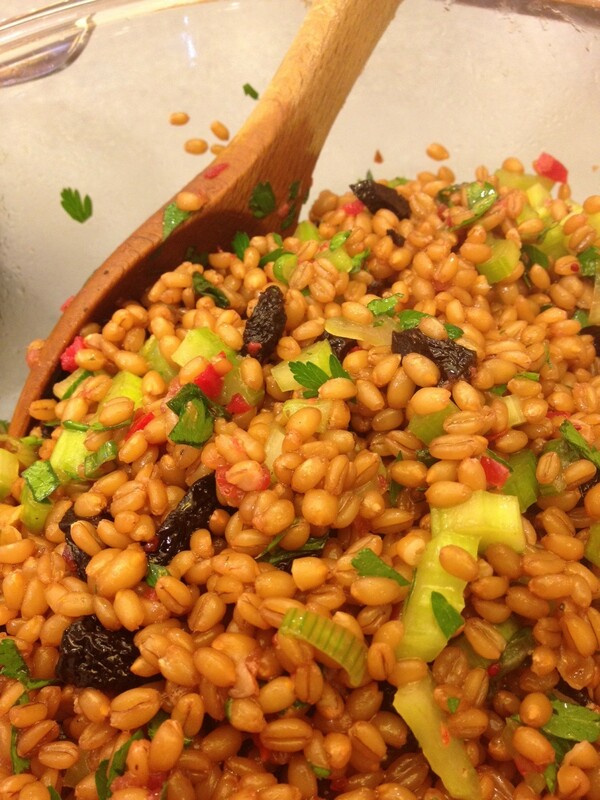 We had a wheat berry and dried cherry salad, lentil salad, crustless spinach and feta pies, and berry trifle for dessert. It seemed to be quite a hit and we ran out of some of the food for the first time (wheat berries and trifle went fast!). In a large pot combine the wheat berries and enough water to come 2 inches over the wheat berries. Bring to a boil and cook uncovered for 1 hour or until tender. Drain and let cool. Toast the walnuts in a dry skillet over medium-high heat until fragrant, about 2 -3 minutes. In a large bowl, whisk together the olive oil, lemon juice, orange zest and juice. Season with salt and pepper. Add the remaining ingredients and mix well. Adjust seasoning as needed. 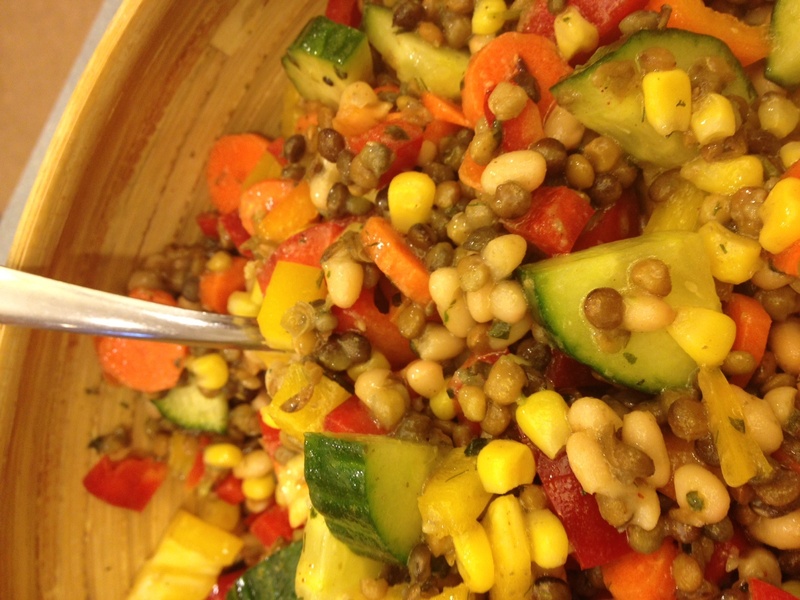 Combine beans and vegetables in a large bowl. In a large measuring cup, whisk all the dressing ingredients together until well mixed. Pour dressing over salad and mix well. Preheat oven to 400°F. Lightly spray pie dishes with cooking spray and set aside. Mix spinach, scallions, dill, parsley, and cheeses. Spread mixture into the bottom of the pie pans. In a medium bowl, whisk flour and baking powder together and then add the remaining ingredients. Mix well and pour into the pie dishes. Bake 28-33 minutes or until a knife comes out clean from the center. Let stand at least 5 minutes before serving. LOVED this recipe! Can’t wait to make it again! 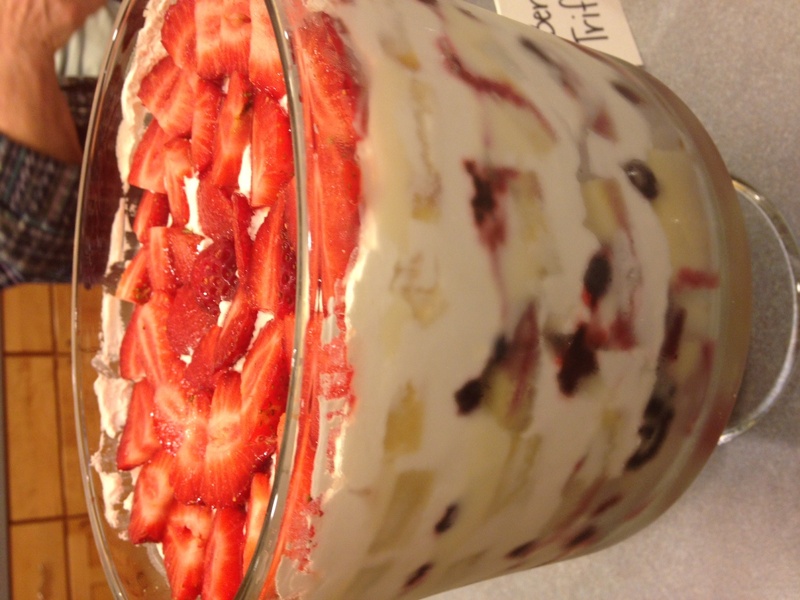 In a trifle dish, assemble layers in order. Use enough pound cake to make a solid layer of pound cake pieces, then use 1 1/2 pudding cups, then spread 1 Tbsp of jam around, cover with berries, then cover with Cool Whip. Repeat until your dish is full.